Daisy, a member of K-pop girl band Momoland, admitted Thursday that she is dating Song Yun-hyeong, a member of boy group iKon. 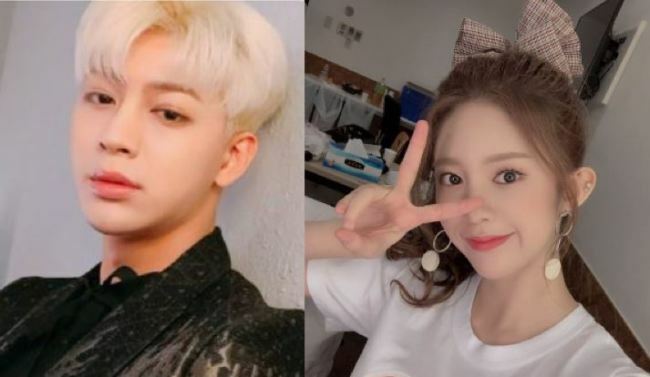 An official from Momoland's management agency, MLD Entertainment, told Yonhap News Agency "the two have been in a dating relationship with mutual affection for three months," confirming a media report that the two started dating three or four months earlier. YG Entertainment, the music label for iKon, however, played down the report, saying that they "have dated a few times on mutual affection, but they are not in a romantic relationship."